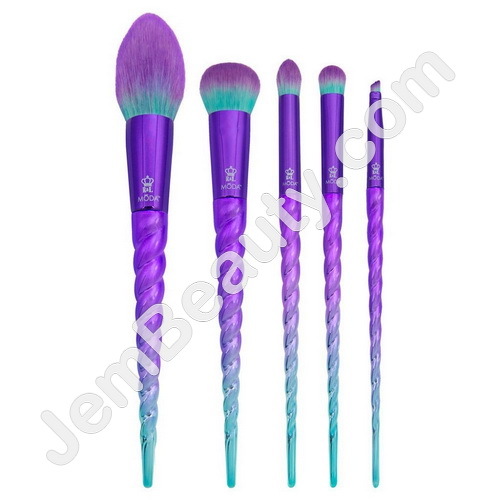 This 5pc MODAÂ® Mythical Kit is what unicorn dreams are made of. These 5 unique professional quality brushes can complete endless looks. Define your cheeks for perfectly blended results. Create an even, natural finish with cream or powder foundation. Apply eye shadow smoothly to define eyes. Soft angle brush with a chisel edge for a precise line at the lash line or brows.